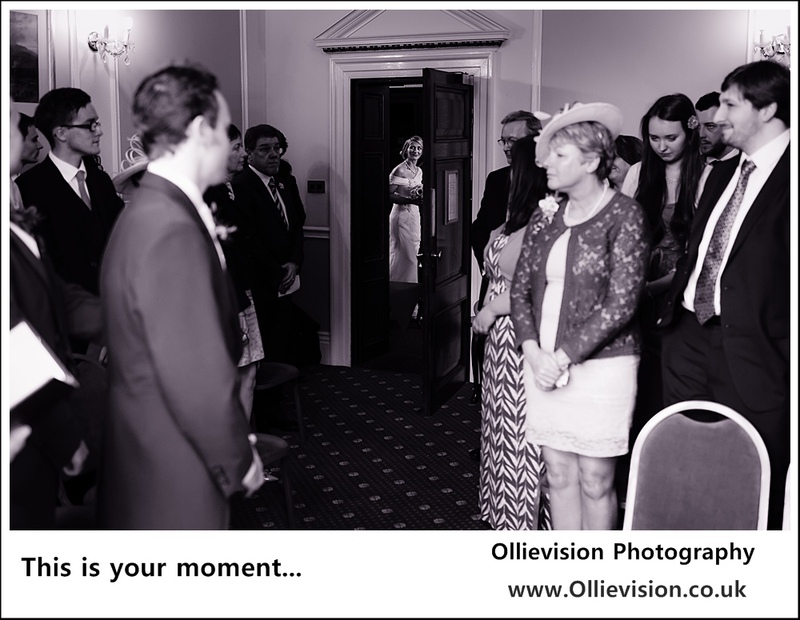 « Yorkshire wedding photography by Ollievision – as seen at the wedding fayre! I have been in contact with a bride who was in discussion with Steve Jackson Photography of 5 Duchess Park Close, Shaw, Oldham. 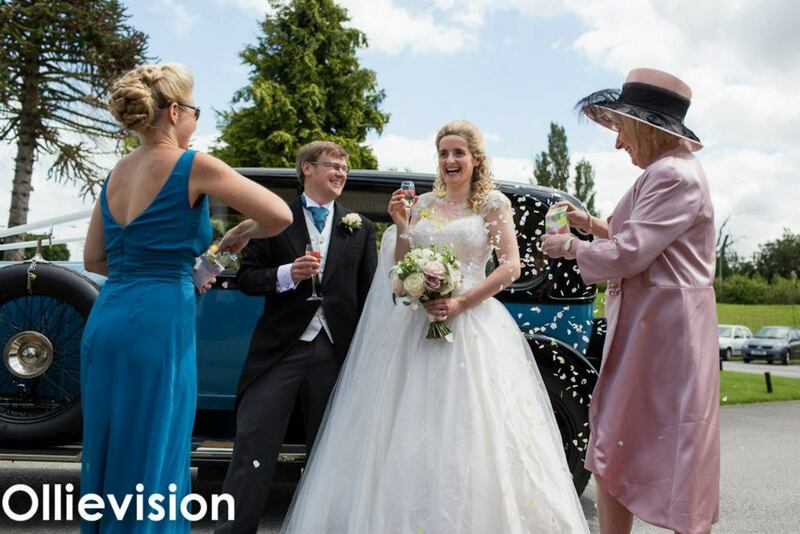 Steve offers a low price videography service under the name of Advanced Videos, Sunshine Weddings and a photography service. The bride and her friend asked for sample images and Steve emailed some through to her. She discovered that some images Steve supplied to her belonged to Pixsmiths when her friend used image tracing software on them. When she contacted Pixsmiths to question them and check Steve’s story, Sandy at Pixsmiths noticed that one of the images was mine and informed me. Steve Jackson claims that myself and Sandy have worked for him as trainee photographers and so we are allowed to use his company’s images on our websites. This is not the case. Neither myself or Pixsmiths have ever worked for Steve Jackson Photography and the images he is using from our portfolios are used without our consent. After discussing the matter with Sandy and the bride involved, I phoned Steve Jackson to inform him that I would be taking action against him for image theft. He insisted that the stolen images being used on his website are not his fault – he made excuses about the site being hacked. However, the images involved in this dispute do not relate to his website at all, he personally selected them and emailed them to the bride as samples of his own work. You can see that Steve has removed my company information from the bottom right corner before forwarding it to the prospective client. You will notice that Steve has cropped the original to remove my watermark and then re-edited the photo. I have come across Steve Jackson Photography before as he was involved in a similar dispute involving him stealing photos for his portfolio in March 2013. At that time he was being pursued by 4-5 other photographers, one of whom is known to me. Why do “photographers” like Steve Jackson steal other people’s photos? The answer to this is very simple and something all brides need to be aware of. 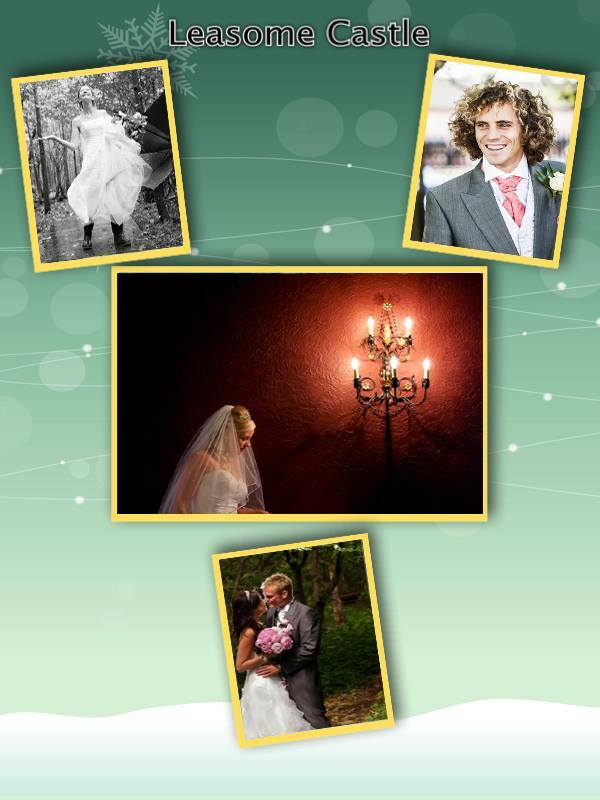 The images are taken from professional wedding photographers to be used in a confidence trick. The images are intended to make the bride think that the thief has the experience, ability and equipment to produce similar images for the client if they book the thief. It is an easy way to make money. Image theft is widespread in the wedding photography community and is one of the reasons why brides find it difficult to understand the variation in price between wedding photographers. After all, my rates are probably four times the rates that Steve Jackson charges, yet our work is “the same” quality because he is using mine and other photographers images as samples of his work! *Update 30th October* Steve Jackson’s prospective client has emailed me more images that he sent her as part of his portfolio. There is another one of mine among them. This time we have a “delightful” montage… but who took the images? The one at the bottom is mine from Sarah & Steven’s wedding at The Bridge, Wetherby. Below is my original image, before Steve cropped it to make his montage. 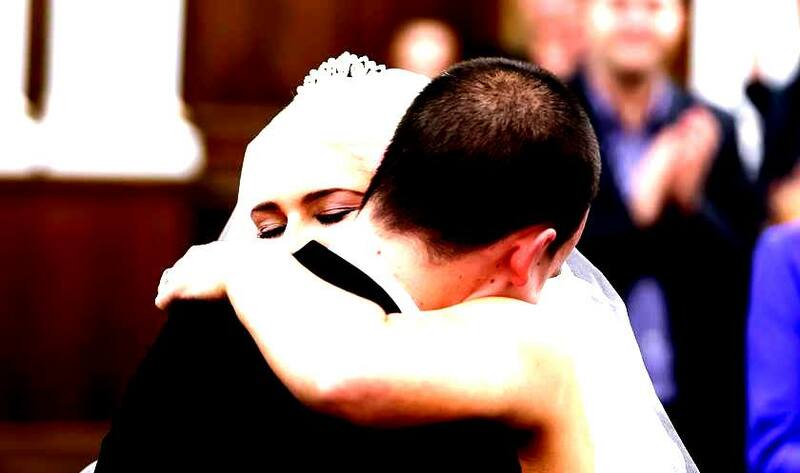 This image appears on Facebook as one of the previews created for the couple immediately after the wedding. Please note: This post relates to Steve Jackson Photography of 5 Duchess Park Close, Shaw, Oldham, OL2 7YN. He is not related to a photographer of a similar name in Peterborough. Update 31st October: I have reported this matter to the Police via Action Fraud. The crime reference number is NFRC131000422783. If you need to report Steve Jackson for image theft or for issues relating to his wedding photography service please state it to enable the cases to be tied together. Update 1st November: I have now had time to download the other images that were sent to me by Steve Jackson Photography’s prospective client. 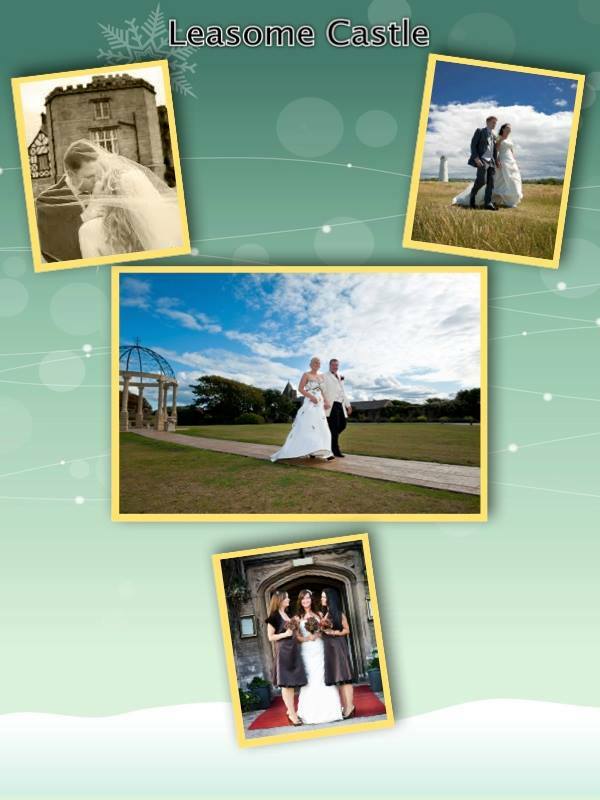 These are some of the images Steve emailed her when she asked for samples of his work taken at Leasowe Castle. The images he stole from me were not taken at that venue, so I assume these could be from anywhere and belong to any photographer. The owner of the image above has been confirmed as David J Barker Photography. It was stolen from Facebook during the last two weeks and re-edited to black & white before being passed off as Steven Jackson’s own work. Steve has cropped the top of the image to remove David’s watermark. Update 3rd December 2013. 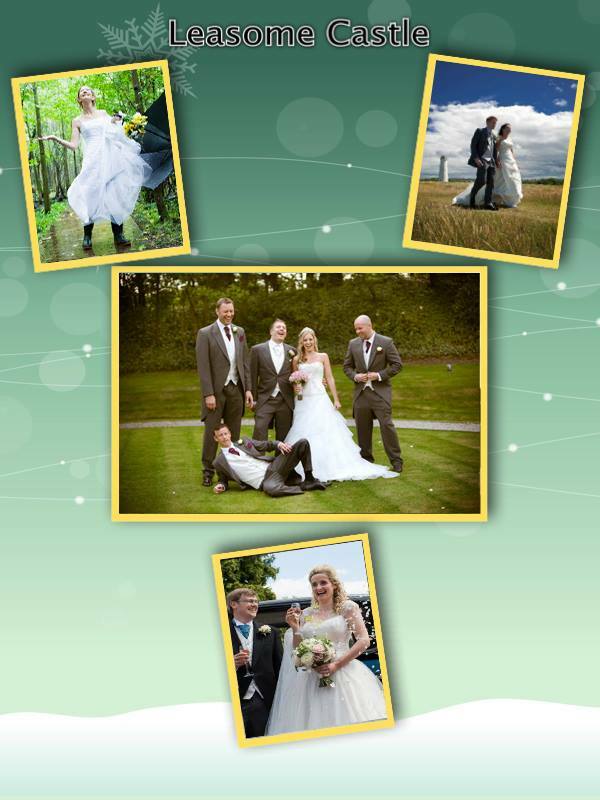 Steve has relaunched his company under the Sunshine Weddings name. Update January 2014. I have been contacted by a bride whose wedding was photographed by Steve Jackson last year. The bride has supplied me with samples of his genuine work and the images are terrible. She is very distressed. Unfortunately, the images are of such poor quality that all I could do was turn them black and white to remove the yellow/orange colour. The camera exif shows that the cameras used were a Canon 5D mark 2 and a 600D. The problems with the images appeared to be due to operator error, poor technique and incorrect/lack of processing. You can read about a similar image theft case in Cornwall here. 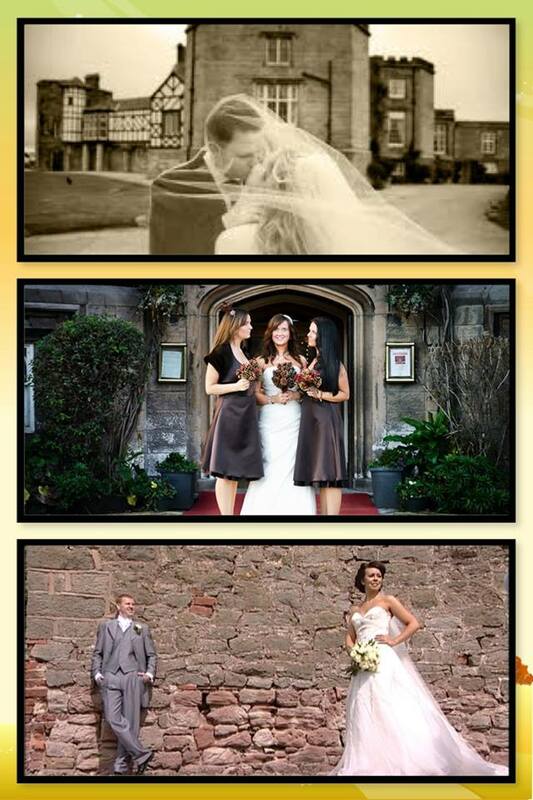 Wedding photographer Paul Keppel was surprised when another company began advertising using his image. They too had a fake portfolio. Incidents like these are not unusual, sadly they are rather common in the wedding industry. This entry was posted in Not indexed and tagged advanced video services, advanced videos, advancedvideos.co.uk, http://sjacksonphotography1678.blogspot.co.uk/, photo stealing by oldham photographer, s jackson photo, s jackson photography, steve jackson photography, steve jackson photography oldham, steve jackson photography reviews, steve jackson photography wedding, steve@advancedvideos.co.uk, steven jackson wedding photographer, sunshine weddings, sunshine weddings photography videography, sunshine weddings reviews, sunshinephotographysite.wordpress.com. well done Paula, quick work here! How dare he done it to you !! Absolutely awful, good on you for taking a stand about it. Well spotted Paula. Just followed that first link and account suspended with a great piece of writing outing the scumbag! Very naughty. In the end what he has done is commit a criminal offence. I do find it really strange that people actually think they can get away with stuff like this. Perhaps back when the web was a minefield and just becoming mainstream. But these days so many people are interconnected and talking to each other, it’s almost impossible to get away with something like this. Whilst it is frustrating for you, I really do feel sorry for the prospective brides that have been duped into booking him on the back of your good work. Wonder what it cost him to license Dolly Partons music for his video? Feel sad for anyone who hires him; there is a huge difference between the images starting the video and what he has posted on his new facebook page. Wow – absolutely disgraceful Paula. Great blog post but what an astonishing thing to happen. Clearly at some point in the process the bride’s will find him out, but obviously by then it will be too late. He will have their money and they will have awful pictures. I cant believe how blatent he is being. Is this a trading standards issue I wonder? Thanks Julian, I’ve reported him via Action Fraud, so maybe the police will look into it as a fraud. …OMG, Paula but this is dreadful!…Thank you for sharing this! He’s shot himself in the foot with that brochure; if he cannot pay attention to getting the venue name correct, then I’d not trust him to take my wedding pics… I’ll share with locals (as it’s only about 3 miles from me) in case the owners can be traced and alerted. None of the three he took of mine are of Leasowe – I’ve never even been there! Just seen 3 of my images above, what a joker! 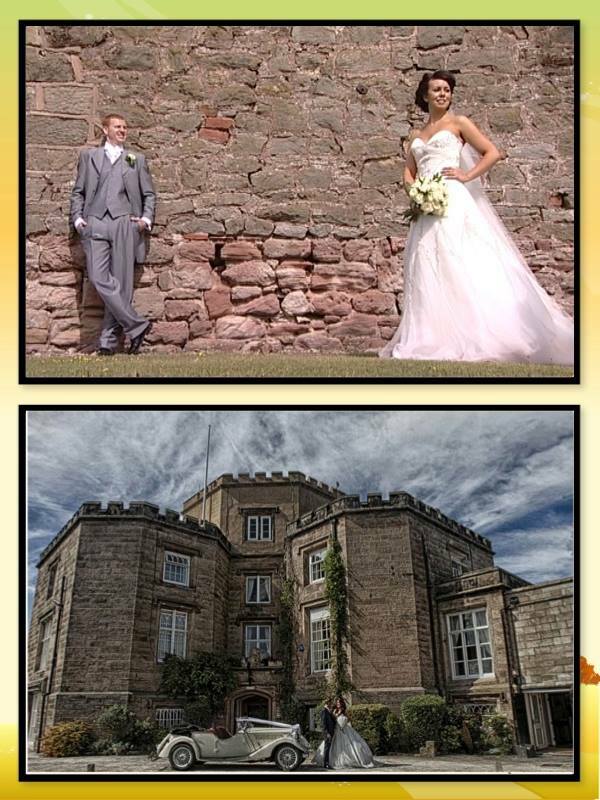 As Stu Worral mentioned the bride against the red wall is at Ruthin Castle, thanks Stu! If you need Steve’s phone number just ask. Dave called him last night and he pretended to be someone else! Just been sent the link to this page. One of my images are on one of those really nice montage pages. Think I’ll be doing a bit of searching on this guy. The Facebook peg links go to removed pages now. Absolutely fuming. Thank you for bringing this to people’s attention. Last night he kept changing the FB page names so the links didn’t work. This is the sort of scam that makes it difficult for real photographers to earn a living and it really makes me angry! With luck, the police will com down on this type like the proverbial ton of. The best way to stop these types is for people like you, the skilled artisans to stand up and out them. Well done Paula! I will spread the word too. 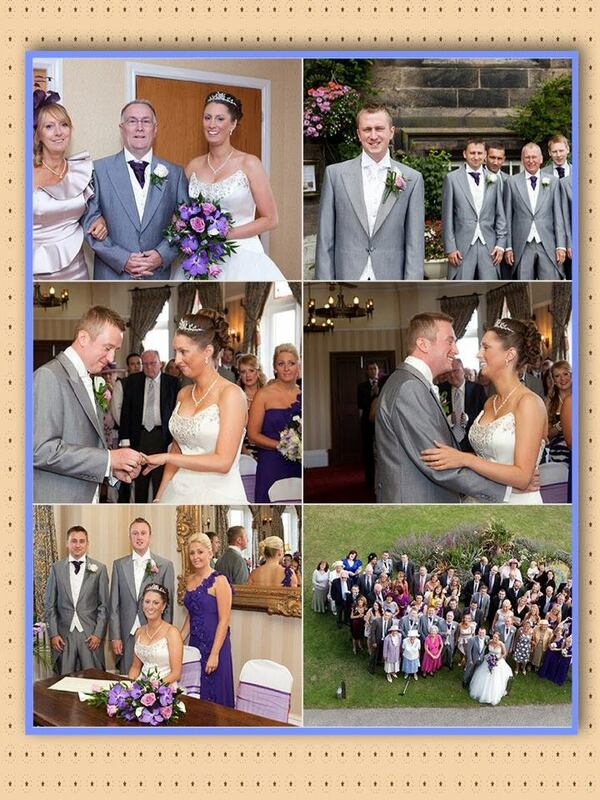 Just to confirm that these are some of my images stolen from my blog taken at Leasowe Castle ( he can’t even get the spelling correct ) I can’t find them on his facebook page or any website though,whether he’s closed them down now or not I dont know, so I am not sure if there is anything I can do about it. Thanks James. Steve Jackson/ Advanced Videos has downloaded your images and is emailing them privately to potential clients as samples of his own work. 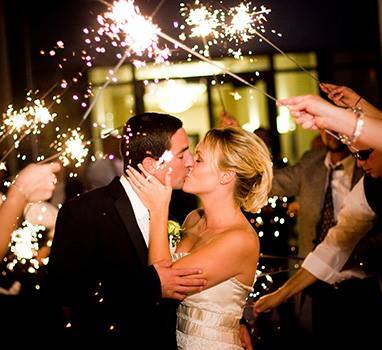 We would never have known about this if it wasn’t for an honest bride getting in touch with Pixsmiths. Her friend became suspicious about the images Steve provided and ran them through Tineye. Paula, have you thought about contacting Watchdog? It’s the kind of thing they’d be really interested in pursuing as it’s a wider issue not just a one-off occurrence, and it obviously has the potential to affect a lot of people at a really important time in their lives. I bet you anything they’d take it up. At least that would warn people these scammers are out there and give Steve Jackson, for one, a thorough public shaming. This is so sad to hear. I have been second shooting for free, and will be shooting my 4th and 5th free job over the next 2weeks, just to have a portfolio to show potential and future brides. When someone like Steve does things like this, it tarnishes the reputation of good honest people. I hope he gets caught physically and pays for his deceptive acts. Do the Wedding Industry Award panel know that he is claiming to have won an award from them? ooh that’s interesting Liz. I haven’t seen that, can you send a link? Well done for writing this post and providing all the details. What despicable behaviour! How’s your action against him working out? Hope he has to pack it all in soon! It’s something we all dread! Finding out that some scum is using someone else’s images to get work. The more these low-life are exposed the better. I have linked to this page from my blog and hope all photographers do similar to get as wide an exposure as possible! found this on Google+ Does anyone recognise any of the images?? This is awful. Actions like this make brides lose faith in what we do. You’re right in what you say about how non-photographers can’t understand the price difference between this fraud and the real thing, and the more this is allowed to happen the more it makes the real deal lower their prices. It’s damaging in so many ways. Well done for highlighting this and let’s hope something can be done about this man. Hi We also booked Steve Jackson as our videographer for our wedding in September 2013 and were devastated when we received his DVD. As the other brides have said he showed us a lot of footage which looked very professional but i can now say this could not have been his own footage! It has taken us over 6 months to even look into this as we were both devastated by what he sent us, not to mention how unprofessional and instrusive he and his colleague where on the day itself. Luckily our friend and photographer has been able to rescue a small portion of the footage and we now have a highlight reel to look back on. I am too upset to contact him direct but would be interested to hear if anyone has made a successful complaint and if any refund was obtained. Sorry to hear your sad news. You are the third of Steve’s wedding photo clients to contact me. I’d be happy to put you in touch with a couple of Steve’s other victims. If you’d like me to send them your details please send me an email via the contact form on my website. I was married in June 2010 and was also lured in by this monster. We should have had memories made but instead we got a DVD that hushes throughout in poor quality and extremely poor images. We paid £600 and was supposed to get an edited album but never got a thing. This was 5.5 years ago I reported it to trading standards but got no where. I got back in touch with him a couple of years back as a relative looked into him for a wedding only to realise who he was when he turned up. She let me know straight away and I rang him he offered to do a shoot of my new baby (no thanks) and bring my album but I never heard from him again. His excuse was he had all his equipment stolen and lost everything. I’m still not over this an I try find information on him all the time I’m so happy I’ve came across this. Did u manage to get anything resolved? Thanks for telling your story. Sorry to hear he scammed you. I originally phoned him and when he lied to me I decided the best way forward was to publish this blog post! Since then it’s been harder for him to advertise and pick up more victims. Thanks a million and please keep up the good work. Keeping photos safe: A guide to NOT losing your digital photos for the non-tech-savvy! Check out the latest blog posts and have your say!